I was so excited this weekend when my Zoya package arrived on the same day as my first package from Eyeko! I’ll be swatching all of these, but first I’ll start with Faye and Kate. Faye is from Zoya’s Sunshine Polish Collection. From that collection, I got this one along with Reva. Both colors surprised me quite a bit. Faye was a lot lighter on the nail than I thought, but only because it is SO full of gold sparkle, its crazy. They really named this collection properly because it is full of bright sunshiney sparkle. This entry was posted in general polish yumminess, swatches and tagged creme, faye, gold, kate, mauve, nail polish, pink, rose, shimmer, sparkly, swatch, zoya on April 4, 2011 by hollyshimmerspark. Before I put my green on, I had to try this one out that I got yesterday! I swear that I loved it before I saw the name, but who couldn’t love something with this name!? This entry was posted in general polish yumminess, swatches and tagged creme, mauve, nail polish, orly, pink, pink chocolate, rose, swatch on March 16, 2011 by hollyshimmerspark. 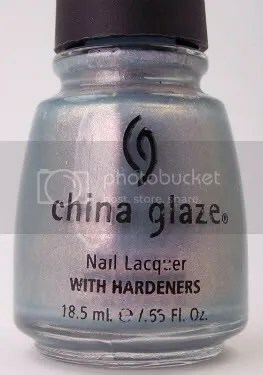 I want to try the Eyeko Tea Rose or China Glaze Fifth Avenue sometime. This entry was posted in general polish yumminess, swatches and tagged angora cardi, essie, japanese rose garden, mauve, nail polish, opi, pink, rose, swatch on February 18, 2011 by hollyshimmerspark.